The OverBoard Waterproof VHF Case with comfortable 3-way chest harness lets you take your precious VHF radio to places you wouldn’t normally dare, keeping it protected in a 100% waterproof case without any sound loss. Suitable for handheld VHF radios with left or right handed antennas; this VHF case features a transparent front and back window so you have full use of the device while it is safely sealed inside using our Slide Seal System™. And because the sea can be mighty unpredictable, our VHF case is also guaranteed submersible to 19ft / 6m and floats if dropped into the water. 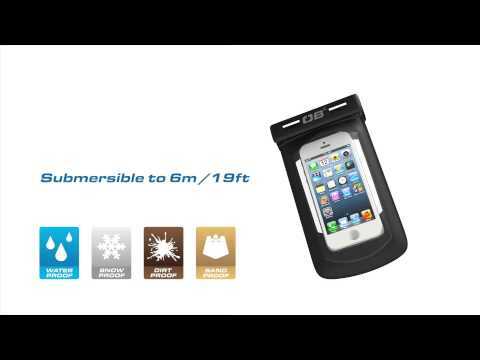 "Very impressed with the speedy delivery of my order, and waterproof cases are great, too. Will tell my friends!" "Hi, I'd just like to say how impressed I am with your service and particularly the very fast despatch time. Both the case and dry bag are of a very high quality and will be put to good use on my holiday soon. Many thanks."